Elderly travelers are considered high risk in the eyes of visitors insurance companies, which is why visitors insurance premiums are much more expensive for seniors than they are for younger travelers. In addition, travel medical insurance policies often provide less health coverage for seniors. When buying visitors insurance for elderly parents or seniors, you will find that most visitors insurance plans for seniors over 80 have lower policy maximums, reduced medical benefits, and higher premium costs. Seniors over 80 years old seeking the best travel medical protection should be aware of the following 5 points when selecting a visitors insurance policy. Once a traveler reaches 80 years old, policy options become more limited. However, this doesn’t mean that there are not quality plan options for seniors. Comparing plans and exploring the coverage and limitations is a crucial step for anyone purchasing visitors insurance, but especially important for seniors over 80. Seniors over 80 may be more susceptible to health conditions so it is important to note that few plans will cover the acute onset of pre-existing conditions. Acute onset of a pre-existing medical condition refers to an unwarned, sudden and spontaneous recurrence of a pre-existing medical condition. Common examples of a pre-existing condition include diabetes, high blood pressure, heart problems and cancer. It is recommended that seniors over 80 select a medical insurance plan with a policy maximum of between $50,000 and $100,000. Travel medical insurance plans with a higher policy maximum for seniors will have a higher premium, but more medical coverage is essential for elderly travelers. 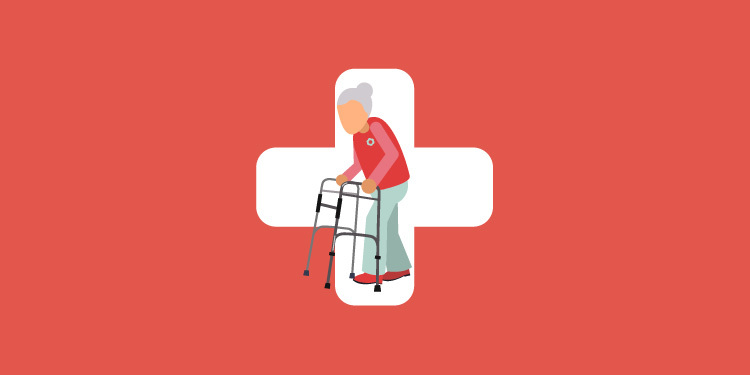 Elderly travelers can fall ill or injured very easily, which is why it is advised to have an insurance plan with emergency medical evacuation coverage. In the event that a senior visitor needs medical attention immediately and must be evacuated, the medical bills can run thousands of dollars. In the unfortunate event that you or your loved ones die while traveling, you will want to have a plan with repatriation coverage. The cost of having mortal remains flown overseas to the traveler’s home country can be extremely high, and leaving family members with the bill will make a tragic situation even worse. Even if travelers are in the best of health, it is best to have coverage for such incidents. A plan with repatriation benefits will cover arrangements and payments to have the mortal remains of the insured returned to their home country. Elderly travelers are more at risk of falling ill or becoming injured while traveling, which is why it is important that they have visitors health insurance before traveling abroad. 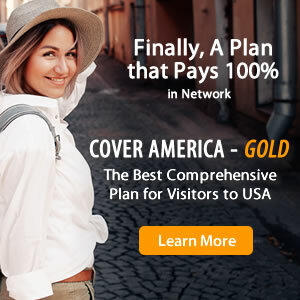 The best travel medical insurance plans for seniors should have a high policy maximum, emergency medical evacuation, and repatriation coverage for a safe trip abroad.